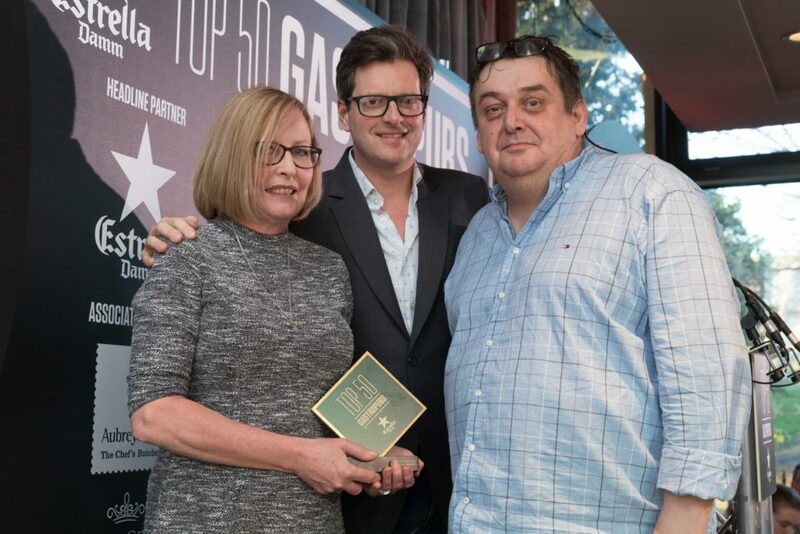 We’ve been named for the second year running as one of the top 50 gastropubs in the country at an industry-wide awards ceremony in York recently (January 29, 2018). We polled in at 28 this year and received a special award as the highest climber in the list, as in 2017 we were positioned just inside the chart at 50. We’re thrilled to bits and can’t stop smiling. Last year we were delighted to get into this elite group of pubs with chefs and teams who are at the very top of their game, but now to have moved so much further down the list and closer to the top 20 is amazing. We’re in such great company, it’s amazing! The ‘Estrella Damm’ Top 50 Gastropub Awards are voted for by a group with members including food writers, executive chefs, celebrity and top hospitality industry chefs, pub guide editors, industry chiefs and food operators. We’re the industry’s choice and are delighted to be part of these awards again this year. The ceremony is organised by the publican’s publication The Morning Advertiser, which says the top 50 is the definitive list of the best gastropubs in Britain.